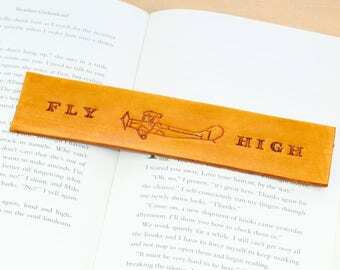 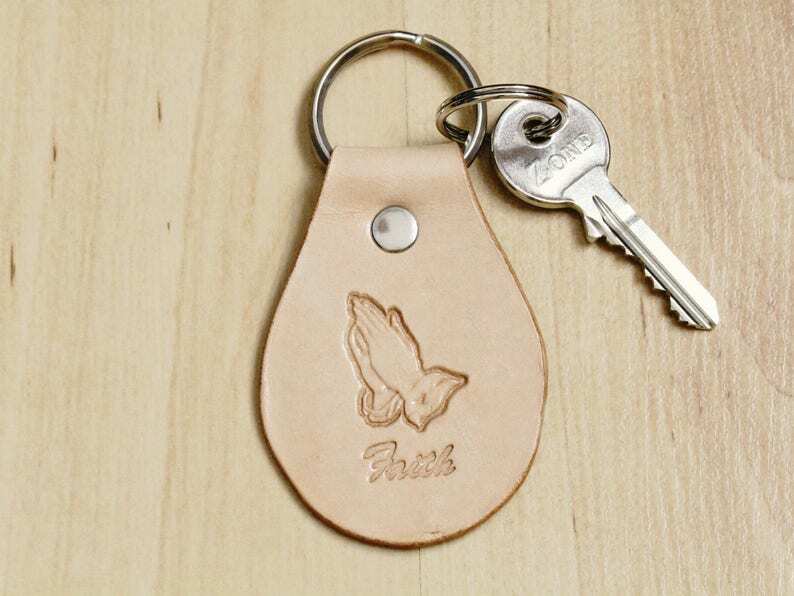 This inspirational Praying Hands leather keychain makes a really meaningful gift!! This motivational leather keychain is handmade from premium quality leather and is hand stamped with praying hands and the word Faith. 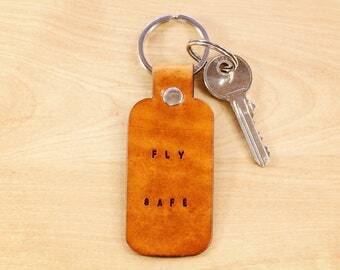 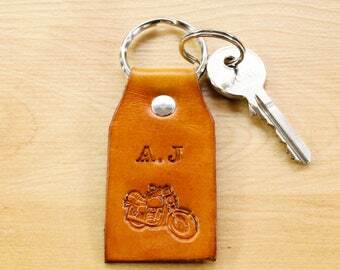 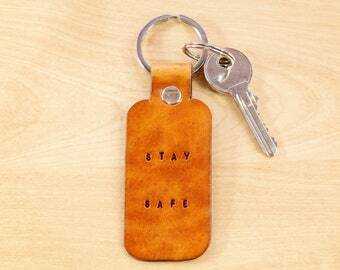 I have left the leather of this leather keyring the natural beige colour on the front and on the reverse side. 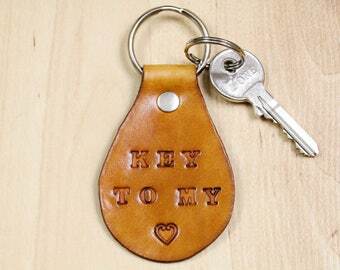 This lovely leather key fob would make a thoughtful gift to a friend, or perhaps as a confirmation gift for a family member. 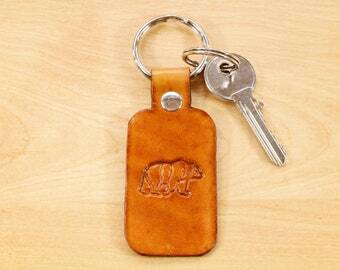 Classic leather keychain with a modern twist!! 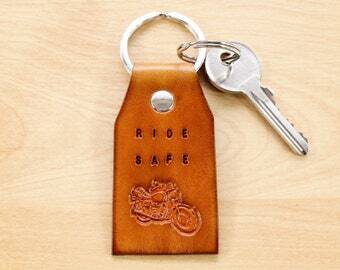 Completely handcrafted as the hand cut leather is also hand-stamped and hand-burnished. 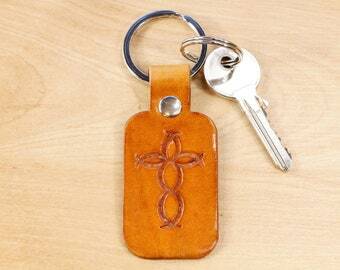 Width of leather approximately 2 & 1/8 inches (5.3 cm). 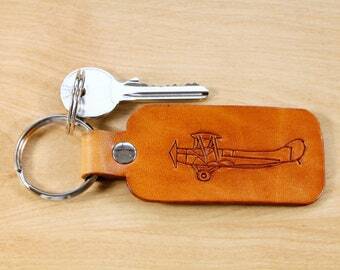 Overall length including the ring approximately 3 & 15/16 inches (10 cm). 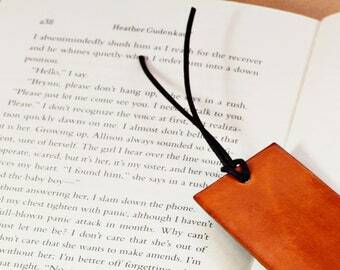 Due to variations in the natural leather, you can expect that each one will be unique.